I have csvlist.dat file save in my matlab directory. 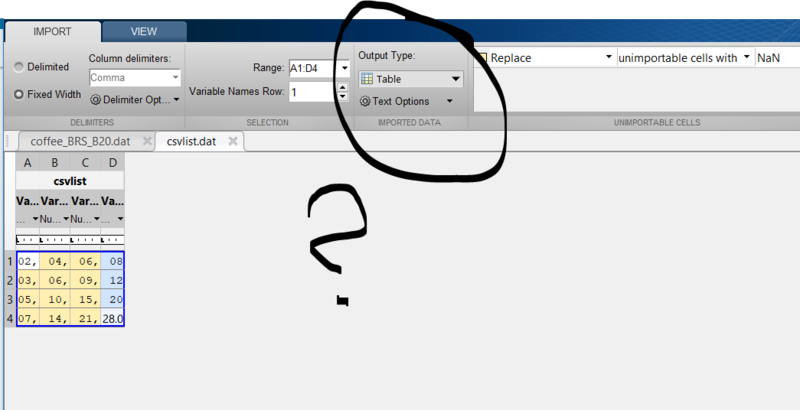 I need to import my data, but which to select? and show us the output. then you might have unusual characters in the name. I written ABC.dat that is why did not work.